Flowing almost 5,000 km through six countries: Vietnam, Laos, Cambodia, Myanmar, Thailand and China, the mighty Mekong River cruises is one of the most impressive waterways on the planet.The Mekong River has long been enchanting travelers all over the world for not only being one of the most biologically diverse areas in the world but also for constant activities from visit the colorful floating markets and traditional villages to enjoy the awesome local cuisine. No matter what you are looking for, a day tour will has something magical to offer. 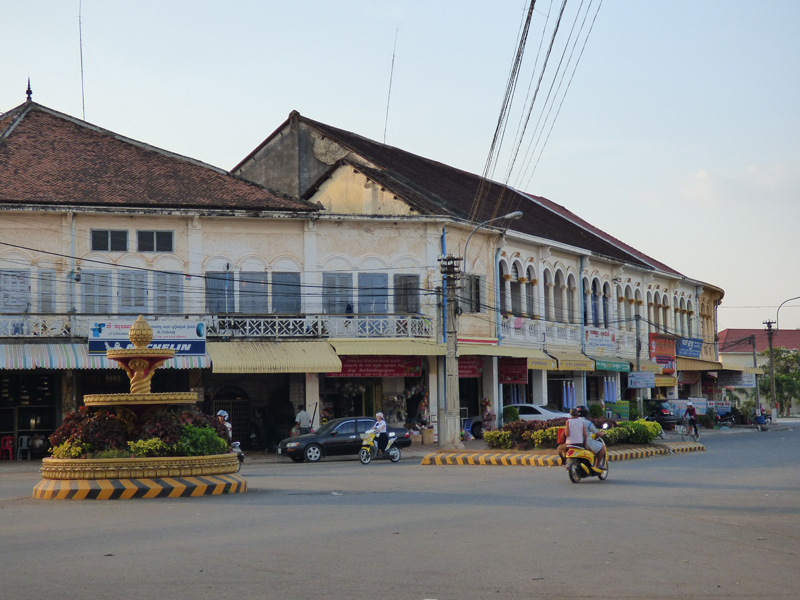 On the west bank of the Mekong River, Kampong Cham, which is quaint and lovely with its wide boulevard streets besides the river and its bustling river scene, is where you can take a look at Cambodian life. 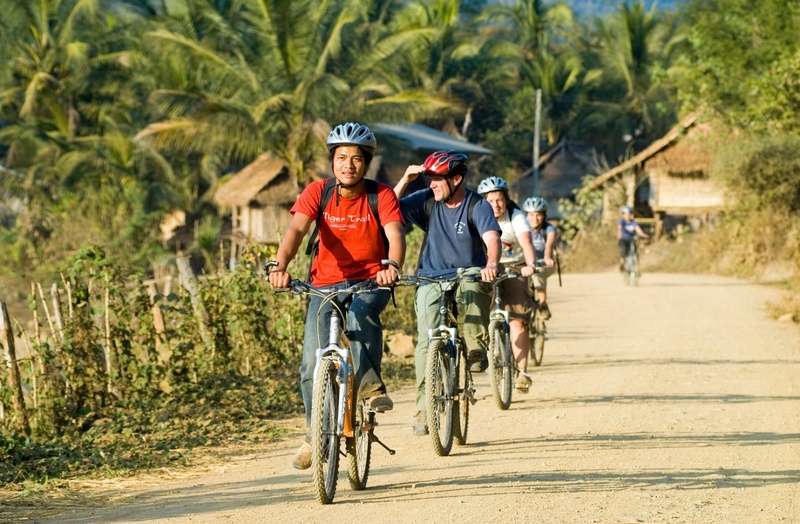 On a cycling tour in Luang Prabang, you will along peaceful dirt roads, explore nearby villages, and observe the lifestyle of people along the Mekong River, who are shy welcome but really grace; see a wide selection of city highlights including the famous Wat Xieng Thong Temple – a sample of Luang Prabang’s oldest and most spectacular temples, traditional music centers, spirit house craftsmen and the UXO Museum as well as less visited cultural and craft-making sites for an intimate view of Laos life. A visit to a wet market is a great way to enjoy the real charm of Kampong Cham. In addition, remember to take time to wander through temples and pagodas: Wat Nokor, a modern Theravada Buddhist pagoda built in 11th century; a glorious pagoda built the 12th century and to visit the serene Buddha statues. Carpeted in a dizzying variety of greens, the Mekong Delta, Vietnam, is so mesmerizing with vast options aside from well-trodden trails. A journey to the Mekong Delta cannot be complete without visiting Ben Tre, My Tho, Vinh Long, Tra Vinh, Dong Thap, An Giang, Tien Giang, etc. With uncountable interesting things to do – historical sites for those with a love of history; a homestay for an even more rewarding, authentic Mekong Delta experience; floating markets and villages built on stilts: Cai Rang, Cai Be, Phung Hiep, Long Xuyen, Tra On floating markets to name a few and lush orchards overflowing with tropical fruit, the Mekong Delta is one of the most alluring destinations in not only Vietnam but also South East Asia region. Certainly, a trip to a floating market is a must-do activity. 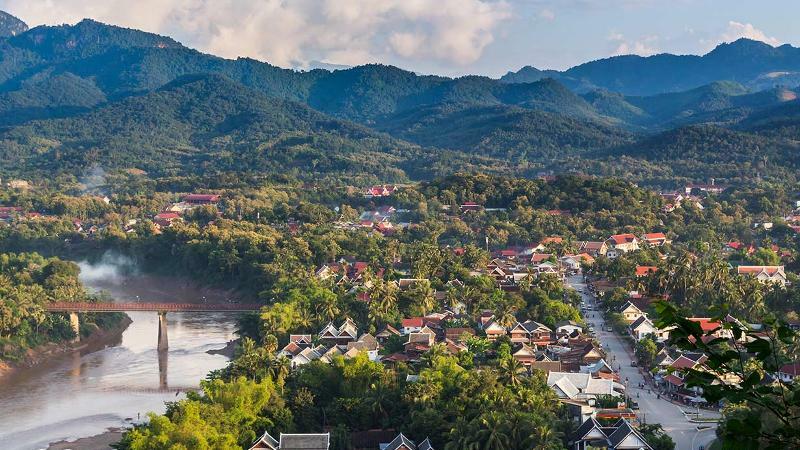 On this short yet interesting tour, you will experience one of the longest existing cultural characteristics of the local people in the Mekong Delta and get closer to their daily life. On the boat tour at these villages, get the camera ready all the time to capture boats filled with local products anchored along the banks of the river; goods uniquely hung on poles and smiley merchandisers interrupting their shopping to enjoy bowls of noodles.